1. Feathers appearing where you least expected it to be ~ some angel feathers are manifested from heaven and others are from birds, jackets or pillows…. You know it is angelic when it is out of place, catches you eye, and you have either asked for a sign or been missing a passed over loved one. 2. Butterflies ~ especially if seen out of season or if it hovers around you for a prolonged period of time. 3. Songs ~ If you have a special song with a deceased loved one, or if the words to the song answer whatever question you had going through your head, or if it feels like it is for you because it just makes you feel wonderfully full of love. 4. Books falling off of shelves when you pass. After seeing sparkling white lights for the first time, I went to the bookstore to investigate and the book Angels 101 dropped off the shelf at my feet and the page I opened it to? How to see your angels and what the different colours mean! 5. Lights flicker either in your home or the street lights on the street going off or on as you go by. Or the electronics go off and on, on their own. Do not be scared! Remember my mantra: you are light, created of light to be light and that you only allow light or those that come in light to come to you. 6. You try to phone or email someone and they never get your message or call. If this happens to you, think of the significance because there was some reason why the message was interrupted…. Looking for a personalised Angel Reading? Connect with Sarah now. 7. Red lights or green lights indicate smooth sailing or slow down and take care. Or if you see multiple cars on your journey doing the same thing (like U-turns) try to figure out the meaning, because it is definitely a sign. 9. Random wonderful events that are perfect for you happening without you having to force it. They could be in answer to prayer or to your deepest desires. It could be something as simple as wanting to hear rom someone you have not connected with for a long time and you ask the angels for help and then they call. Or it could be something as wonderful as being in the right place to meet your soul-mate or make a work connection. Anything that is not forced but has perfect timing and brings joy into your life. 10. Random strangers conversations are the exact things you were just thinking or wondering about. 11. Animals behaving differently than normal around you. I had one magical day at the beach where a flock of swimming birds followed along side as I walked the shore. It was comforting because at the time I was missing my Grandpa who had died a few months earlier. Then having about a dozen ladybugs land on my arms at the same time. Definitely a sign that I was involved in an invisible angel squeeze/hug. If so, leave a comment below, I’d love to hear about it! I often receive messages from angels most frequently feathers. Recently I have been seeing butterflies but am not sure yet of the message. Once when I was critically ill there was a trio of angels singing to me. Their harmony was the most beautiful chords I have ever heard. I know that hearing angels sing was not in the list but they certainly made themselves known. Lately, I have been seeing repeating Angel numbers as well as faces in the clouds. Also, I have had many songs come on the radio at strange times that have great meaning to me that have to do with Heaven and love. Tonight, I was talking with my Guardian Angel, releasing some of my worries, and as i finished, I looked out of the window of the car and saw the most beautiful shooting star that I have ever seen. I am Blessed!!!!!! I have always seen the numbers 11 11 on the clock since digital clocks came out. I am 55. I pray at that minute I see this time. Curious what your belief is on the numbers. I have my feelings. There was a lot of attention given to the repetitious numbers ever since 11-11-11 and 12-12-12… I will be writing a blog post on numbers very soon, so please stay tuned and hope you get a chance to read it! I always “make a wish” when I see 11:11…. Do you? I also see 11:11 and 1:11 a lot. Almost two months ago, I got home from work and as I was going up the steps, a tiny baby praying mantis jumped on the steps and he/she seemed to walk up with me. I put my keys on the coffee table and went back outside and took some pictures. I didn’t watch for long; I was tired from work. I regret not having watched for longer. Two of my last 3 cats came from my workplaces. I think my angel kitties sent them to me. I have random butterflies…to feathers just sticking out of the ground to tiny bugs just landing on me to a mornong dove drinking water just 25 to 30 inches away from me n never move when I got up from my seat. Just beautiful to see these things. .also animals..mainly dogs just love me. That is beautiful…. Thank you for taking the time to add your story to this thread! How wonderful to know that someone else will read this who might not have known about these types of things, may have similar things happening to them, and will understand the true meaning. Awwww, that is so sweet! My grandpa was like a father to me… I learned so much from him! How lucky we are to have had such good men in our lives and to KNOW the signs they share with us now when they cannot physically be with us. When my husband was alive, he would always play the number 222. Every day since his passing, I see the number 222. I hope it’s his way of telling me he is ok! Recently had a butterfly resting on my car window at home Seemed if he was passing from this life. He crawled onto my hand and I brought him in with me. Rested him on some fresh flowers I had in a vase. Throughout the night I watched him moving around often changing from one flower to another. I knew he was weak but I felt as though he came to me for a reason. Today I found a feather in a bathroom floor and we laughed about someone lost one of their boa feathers…this was at a business no reason for a feather to be there.. Then my animals have been acting very out of character for them. Just like something was out of sort. I was almost scared since I didn’t understand what was happening. My neighbor has just pasted away on the 5th of this month…maybe its a sign from him. I have most of these things happen to me very frequently. It used to scare me a little when the street lights did that, but now I find it oddly comforting. I find feathers every single time I go for a walk – I have a collection now, and I constantly see 824. It’s good to know that my angel is with me. Thank you for posting this! 824 means: Lean upon the Angels to stay positive about your financial situation, and borrow their absolute faith that everything is just fine with respect to money. Absolutely!! Anytime the electronics go wonky, it is a sign that Angels are near. And you know what? I have had numerous calls that defied logic like what happened to you. One time I had my own number call me and it was mom on the other end at some unknown location (she was transient near the end of her life) and it just really freaked me out! So, please know that this is a sign for you that you are loved and supported by the Angels. 11:11, 1:11, 2:22, 3:33, 4:44, 5:50, 5:55… I remove feathers from freshly laundered clothes, my night gowns… from my daughters back of her shirt, and today, a coworker removed a feather off my back. There was even a feather on my mouse once. Generally I am finding them anywhere and everywhere and to the point that my husband is starting to notice! Today I was ushered into my place of employment by a dragon fly. I parked a ways away from the door and had to walk a bit so it stayed with me until I made it to the door. I have seen butterflies at night and sometimes they beat against the window seeming to want to come in, and OH so much synchronicity! Sheryl, it sounds like you are loving the signs you are getting 🙂 I am so glad and thank you for sharing your story with us all here! on two separate occasions during the past month…I have had a butterfly not only hover around me but literally land on my face (staying for a considerable period of time ) and sitting on my head. The first time it happened I was at a public zoo in another province…this one particular butterfly stuck around me for a least an hour. The second time it happened I was at home, sitting on my patio reading a book. I am not sure what the message(s) might be but I was sure it was an angelic presence. In the past two years, I have lost a grandmother, two dogs and am undergoing a career change. Could the visit simply be reassurance that I am being watched over or is there a particular message that I need to hear? Hi Sara I would love to know what the angelic numbers 11:11 mean or 1:11 I see this everyday on the clock on the dot. I never check the time but when I do it shows those times. I love this article I wish I knew who my guradian angle is? Or how I could find out? Hi Susan, the numbers 11:11 mean: Stay positive! Your thoughts are manifesting instantly, so keep your mindset focused on your desires. Give any fearful thoughts to Heaven for transmutation. I have found pennies … usually only in small amts. all of my life…I spend lots of time looking on the ground as I walk. Thinking this could be angels sending me messages that everything is allright. I love the angel realm and believe in it wholeheartedly. That is wonderful to find these little gifts from Heaven on our path isn’t it? I also want to encourage you to look up more, instead of looking down, so that you are able to witness the beauty of the path around you…. Raise you head head up and shine, you are a beautiful soul, radiate that! I have lights come on all the time as I walk by or sit near them. The first time was when someone I love dearly passed and I had told him if anything happened to let me know he was ok. He used the lamp and as I turned it off thenight he passed and asked a question, itcwiuld come back on in response. Frequently when I’m thinking of him the tv goes off then back on by itself. I lost my dad who collected guns and after I had just vacuumed, I found a 9mm she’ll in the floor. It wasn’t there before and had no reason to be there. I’ve had CD’s to skip but when I go back and play again, it doesn’t. I was always told by my grandmother I had a gift. I believe I do. I often see floating white lights, orbs around me, they are so beautiful. When I Pray, I close my eyes all the time, and often see lots of different color shadows, and their shape as well, floating over me, I can see they are angels. I feel warm all over, and a sense of peace and tranquility. I’m a firm believer that the angels are always around us, either as someone you know or casually meet. Just like when you feel your spirit or soul attracted to someone else, and it’s so powerful, it takes all your strength to keep away, but, it’s impossible to do so. It’s like a magnet that keeps bringing you and this other soul, spirit, together. It’s beautiful!! Adriana, you said that all so well! Thank you so much for sharing your story, I really enjoyed reading it! Hi Pamela! Your story makes me smile big time 🙂 What was it, deep within your heart that caused you to go in a circle that day? And to find the eagle feathers in a circle…. wow! Trust in your intuition and I wish you all the best in the future. Wow, these stories shared here are ALL so wonderful! Sosen and Sheryl, have you read my recent blog post about 11:11? (interestingly enough I wrote that before coming here and seeing you both write about it…..!) Bren, when we see signs and are not certain immediately of their meaning, I feel that it is our loved ones saying “I love you” to you…. and imagine how much joy the experience knowing that we are receiving their messages to us? for the past (maybe 10 years) I have been noticing the number 911…it’s usually on a clock…but it happens many times during a week… I will glance at a clock and the time is 9:11….can you tell me what this would mean? 911 means: It’s very important that you keep a positive mind-set concerning your spiritually based career ideas. Positive thoughts are your most important asset right now. On Augustin 3 thème m’y Mother in la pas abat suddenly thé day à fer thé funeral my sister in law go to the driver’s licence office to cancel my mother in law’s licence and Has i look down at my feet their is a small metal cross laying right in front of my foot. .
Feathers for sure. I got a tattoo of a feather in memory of my son, and I seem to find them out of place once in a while. Sometimes I have to really look around and just make sure it’s actually out of place. I guess for me, it’s not truly a sign if there’s been a flock of birds around. But the other day I was relaxing at a river that runs past my boyfriend’s parent’s house in the country. I see hawks all the time, but on that day an eagle came overhead and circled us for quite a period of time. I took it as a sign, just because I was awestruck and felt warm and happy at that moment. I also see 1:11 or 11:11 all the time. That’s beautiful Annie that you are noticing these signs from your son. (hugs) I am so glad you are open to them! Any time we try to make sense of something I have heard that it is God’s way of remaining anonymous. My Son Steven committed suicide. Of course we were devastated and feeling that I had failed him. About a month later I was driving in my car. I am always switching radio stations, but this time every station was playing the same song and the words of the song were ” I hope you know this has nothing to do with you. It’s personal, I have some straitening up to do.” I felt an immediate release of some of the pain I was in from Steve’s death. I know he sent me that song. four timez picz fell after my mom passed on…it was when i would be angry at my kidz..my mother alwayz didnt like it when i wuld get mad..but i knew that was her…also i lost a boyfriend recently and songz always cme up especially when im sad..could a thought of something that we did togehter come up when hes letting me know hes missing me..?….he always tole me that if he sohould ever live the physical world he would alwayz love me ..could ur angels direct somebody to u?…for u to be happy again? Janet, wow! Thank you for sharing your story. All of these comments are bringing memories back to me that I had just about forgotten…. Your mom’s pic falling was no accident especially when it happened 4 times! It sounds like it was just the reminder you needed at exactly the right time to relax and be a bit softer with the kids? And about songs, YES! Absolutely they are played for us at the exact moment we need to hear them!!! That is such a beautiful sign. I am sorry for your loss. Sending Light and Love your way. Hi Susan, I am so very sorry for your loss. I watched my grandparents lose their only son to suicide when I was little and because of that I have a very big compassion for bereaved parents. I really loved hearing how you found comfort in that song. How blessed are we who trust in the signs we are given? 444 means: There are Angels – and they’re everywhere around you! You are completely loved, supported, and guided by many Heavenly beings, and you have nothing to fear. I have been seeing the number 611 constantly. Both on the clock and just about anywhere else. it is the date of birth of someone I like. What is the significance of that number for me? I have been trying to figure this out. 611 means: The words that you write, think and speak are determining how things go for you, so focus on your desires and positive outcomes. On our honeymoon (camping trip), we had a friendly chipmunk that came every meal to eat peanuts with us. By the 2nd day he would come right up and eat the peanuts on the table as we ate and talked. Then he would take them from our hands. The final night before packing up the following day we fed him the remaining peanuts. We got up and had oatmeal for breakfast and he arrived for his meal too. I spoke to him and said” I am sorry sweetheart, but we gave you all we had last night, but, you are welcome to join me for breakfast” He looked right at me sat up and reached into my bowl and grabbed a handful of oatmeal and sat eating it with us. we still speak about that to this day. My husband said “dr friggin Doolittle” to me as the chipmunk ate, funny, now we both experience birds and animals with that same trusting way at times. That is great 🙂 It also speaks of a kind heart…. loved this chipmunk story! Your connection to the animals is wonderful! As I was reading this the song that was played at my uncle’s funeral came on the radio (it is a happy song). It makes me smile to know that he is with me. 🙂 This song was played on repeat at the visitation and before the funeral. So glad you are open to the sign that show that your uncle is still and always will be with you. Such a good feeling to know that. Thanks for sharing! I was going through something trumatic in my life and I was praying alot to ask for help to get past it. It was Mother’s Day and I was making my bed. After I made my bed i was looking out of my window which overlooks fields. I saw this white bird flying back and forth in the distance. I wondered what type of bird it was and as I was thinking this all of a sudden it came flying towards my house and swooped up at the window I was looking out of.It was a white dove! Clearly a sign from the other side. A sign of Love and Peace. My dad just passed a month ago and I’m missing him terribly. Today a feather floated down on my bed, then, when I got up and went outside a beautiful butterfly was perched on my door and stayed there for hours. My heart goes out to you….. So glad that the signs are bringing you some comfort. Sending Light, Love and Healing to you. I consistently see the numbers 11:11, or 1:11 — what meaning does this have? this link discusses the number meanings…. Enjoy! when my sister was murdered I kept getting a song on the radio of “put on your bobby socks” she loved to dance as was going to one the night she went missing.. never found the perpetrator.. then when my Mother in Law died.. she was a mother to me.. we had Sunday dinners here at the house .. that very day I did some things that SHE did when she came to dinner.. that Monday she was found in her bed. I just know she was here that Sunday and wish I had listened to the message she was sending that day so that I was the one to find her not my daughter. I miss them both terribly to this day and my heart is still heavy with pain. 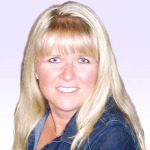 Hi Laurie, I feel the heaviness in your heart, and I really hope that you can begin to forgive yourself. We cannot change the past and you know that both of these people loved you and love you even more now that they are in Heaven. They want you to be happy. Please don’t be so hard on yourself, ok? “Hello Daddy”. Even before reading this I knew it had something to do with him. That is wonderful to hear. So comforting to get these signs. Thanks for sharing! Thanks for leaving a comment Brenda! 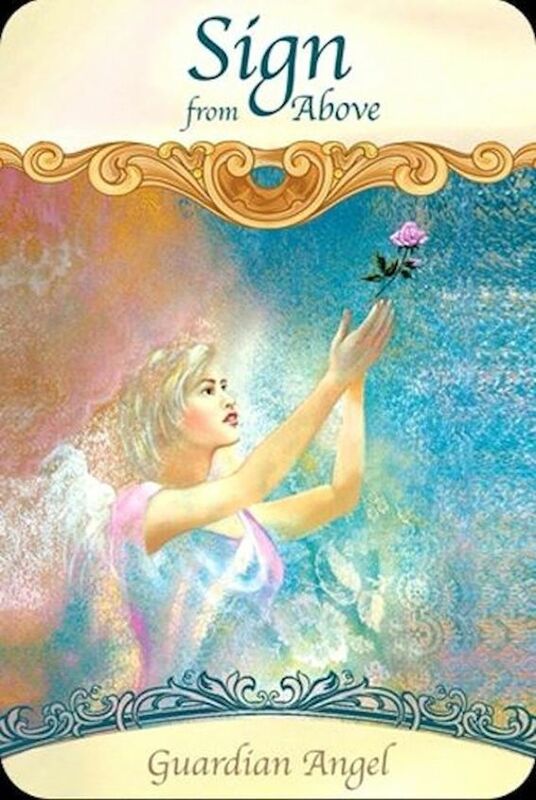 You are very in tune with the signs from the Angels and know to trust your intuition. I have street lights either go out or come on as I pass by all the time. One day while at the museum in my home town, I was setting up to sell tickets for a race to raise funds for the ministery of natural resources and a butterfly kept flying around my head and finally landed on my head. One day I saw a dragonfly in my drive way, I hadn’t seen one in a long time. I later found out my friend had a baby boy and they nicknamed him dragonfly. 🙂 My Aunt passed away and three days later had a phone call and no one on the other end. This has happened many times. |Lately I have seen many fluffy looking white feathers laying on their own way from other feathers. One night during a meditation I heard a rustling noise that sounded like a wing, in the corner of the room. Thing like this happen to me all the time. I have been seeing a number of feathers lately, and my bad luck has changed to better luck, so I’m grateful to my guardian angels. Also, when my good friend passed a few years ago, every morning when I got up, a single unopened rose lay on the living room floor and was the first thing I saw when I came out of my bedroom. This happened several days in a row. I would put the rose in a silk floral bouquet that I had, but I’m sure it didn’t even come from that bouquet as there wasn’t another rose like it in the whole arrangement. I made the arrangement too, and I know I didn’t put a single unopened rose in it. What do you think this means? Thanks. I encourage everyone to use positive mantras and affirmations…. One of them is “I am lucky, I am so very lucky” as it helps to bring good luck to you! I saw a black somethig or other one day going into our bedroom, it was no larger that a blackbird.. At the time I thought it was my husband great nephew. A few days later knowing my husband was in the shower , I started for the hallway and I saw a light? black form. I did jump as i said hubby was in the shower. I was not afraid and wondered what that could have been. Both my mother and my brother saw a black something or other in the corner of their eye also. Seeing something out of the corner of our eye, I feel, is probably spirit. I always encourage everyone to put a bubble of white protective light around themselves and set an ongoing intention that only light and things that are light or come in light get thru. It is important to surround yourself with that protection and to trust that all that comes to you is of the highest good. please check it out, and feel free to leave me a message there on if you gained some insight into it, ok? Every year in September our family goes up north to our cabin for a memorial for my father who passed away in September 2006. We go to the place where he wanted his ashes spread and every time we are there we have lots of dragon flies flying around us and some even landing on us. We are sure it’s a sign he knows we’re there. Dragonflies are sooo cool! What a beautiful sign. And how nice that you honour your father the way you do. Since moving into a new home, everything I said I needed I found; desk, chair, patio set, bed for my daughter – most free or very minimally paid. I recently saw a male shadow facing my room. I feel there is a presence here but definitely not to harm. My daughter has seen children. My Dad loved blue jays and my Mom cardinals and we have lanterns in front of the house with them that light up… sometimes they light up as we arrive in the driveway.. so I know they are looking out for us in our journey. I see the number 717 fairly often. what does the 1:11 mean? I see that a lot? Wow Laurie, what a beautiful sign you were given. And I admire that even in the toughest of times you were brought such a feeling of calm! Thank you for sharing, I hope that whomever reads this is just as touched about it as I am. Sending you light and love and blessings. I have been seeing 444 since my brother passed away 13years ago. My Dad took sick and passed away July 26 of this year. My Dad died at 444 in the morning. I think I am still in shock that he died at 444. Could you tell me if it means anything? My mom passed at 9:25. a mom/daughter necklace we had i noticed afterwards had 925 imprinted on it. Though I haven’t noticed it much but I maybe should start paying attention to that number. This may sound crazy but i think a message is being sent and i don’t know what it is . For the past couple of weeks i will be sleeping and i can hear my doorbell clear as day in my sleep it actually wakes me up. I automatically look at the clock and it always says 3:38 i often wonder who is ringing my doorbell at this hour i will go to the door and look out the peep hole and there is nobody there so i return to bed but have trouble going back to sleep because it bothers me .Could this be a message i wonder. I have also heard that finding dimes around is a sign of loved ones leaving a sign. Have you ever heard this? I find dimes everywhere! Give me a feedback, when you have a chance. Thank you in advance for your time,Sara B. Since losing both my parents & best friend in 2013, I’ve hada number of events. I have the lights turn off or lamps turn on as I walk by, my tv changes channels by itself or will turn on & off. I’ve taken photos w 4 rings of light around me. One I appear to have wings of an angel behind me. I have spoken to the Rhine institute & was told the foggy rings & wings are angels. I kno who the 4 angels would be w the 4 rings. I’ve had things fly off my desk as if someone shoved them. I had always told my mom if she could let me kno she was ok when she passed to do so. One night the tv changed channels to wheel of fortune & I smelled Graham crackers. It was at the correct time my would have been watching the show & eating the same crackers. Amazing things I’ve encountered. I constantly see 7’s. 77 and 777 or combined with other numbers. This entry was posted in Angels, Cards and Divination, Dreams, Mind, Body & Spirit, Psychics, Sprituality on August 14, 2014 by Sarah B.